Hair in good hands. Woman at the hairdresser. Looking at camera. Hair dryer. Copy space. Gov. 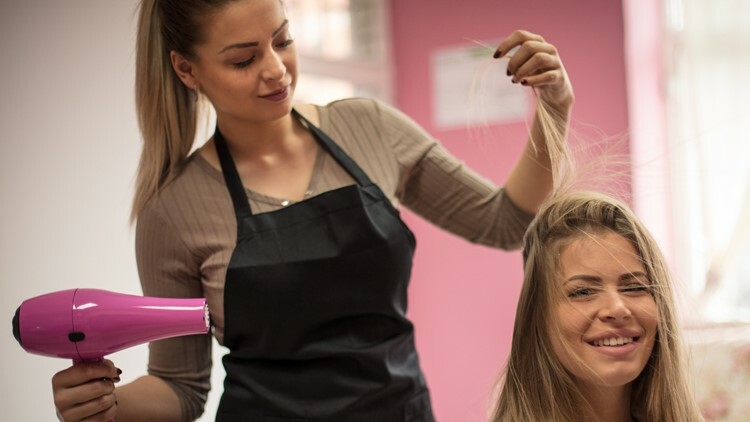 Doug Ducey signed the "dry bar" bill axing licenses for hair stylists in Arizona who only provide blow-drying, curling and shampoo services. Ducey called the new law "a victory for common sense," and said requiring people who only blow dry hair to have a license requiring 1,000 hours of training "ridiculous."